Nothing but smiles while shooting with this young couple as they just around the corner from becoming parents to a little girl! Savannah and Justin joined me down at a local beach to capture some belly shots before the baby comes. 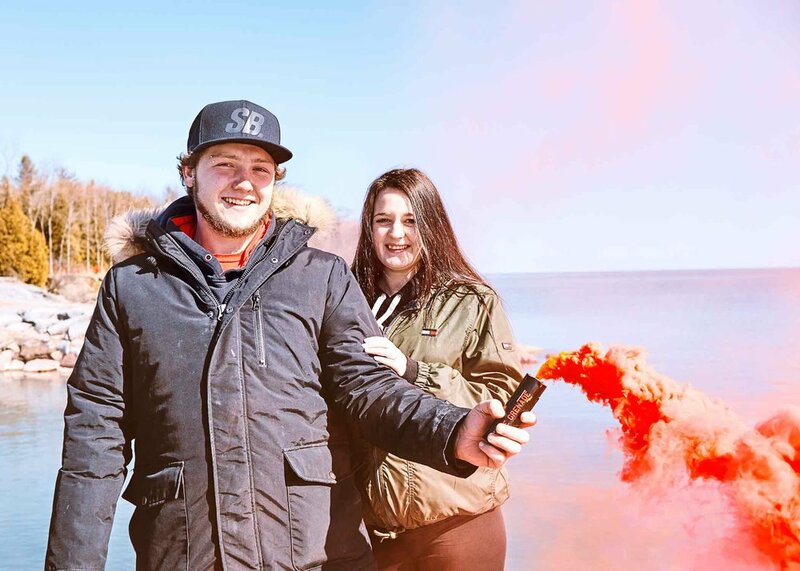 Of course, with a stash of smoke bombs from Rocket, I had to let them give one a try, to show off that the baby is a girl. Safe to say, I freaked Justin out a bit warning him he could get burnt. Took a couple tries but he got finally got it. And hey, wasn't as scary as they thought it was! All in all, congrats to the young couple!